TrueWoW • Tempest Keep: The Eye -- Released! THE FUTURE I HAVE PLANNED WILL NOT BE JEOPARDIZED! 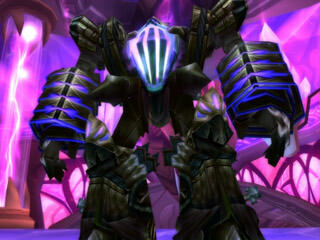 For those of our Primal players keeping up with the latest raiding scene, did you see something sneaking out recently? A December 6 release? Yes, indeed, The Eye is now available! Take on Kael'thas Sunstrider and the other denizens of Tempest Keep to topple the stronghold of the Sun King! Check out some highlights of what's in store at this innermost sanctum in the above video, thanks to Daedal. Everyone has a soft spot for someone. Maybe a spouse they love despite their annoying quirks. Maybe a mount they ride despite it taking up half their screen. For Kael'thas, Al'ar is his baby phoenix who (along with his children) seeks to support and defend his owner. While he may seem a bit of a pushover at first, don't forget that a phoenix can be reborn from his own ashes. Who knows how many times you may need to kill Al'ar before it stays dead? When you're a leading contributor to one of the most hated and feared groups on Azeroth (and beyond), it's generally a good idea to keep a guardian or two around. Kael'thas, with his Legion alignment, took this concept quite literally and sought out a Fel Reaver protector. A giant mechanical monster, the Void Reaver may resemble familiar enemies such as Doomwalker, but don't let your prior victories distort your perception. Keep your blade at the ready and your mana pool in check. Despite her innocuous appearance (if you're used to hanging around mage-types, that is), High Astromancer Solarian does have an ace or two up her sleeves... She's quite the popular lady and seems to always be bringing friends to join in on her fight. Be ready to fight not just her, but a whole group of her buddies as well. If you are strong enough to make it to the end, be aware she isn't always as pretty as she looks in photos. Some say she is as ugly as a demon when she wakes up! Hopefully you have already had a chance to dine with royalty because any feasts hosted by Kael'thas would certainly not have you invited. 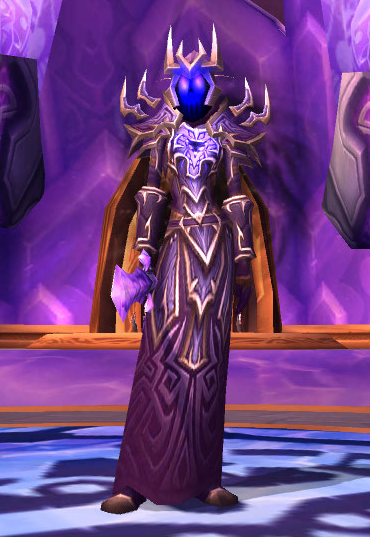 Originally a member of the Six of Kirin Tor, Kael'thas bides his time now by serving the Legion. After the destruction of Quel'Thalas he has felt virtually nothing but a thirst for magic and seeks a cure for his emptiness. As the worst of times tend to bring out the most of people, this will not be a fight easily won. A blood mage with a council, weapons, and the power of the Legion behind him will not be bought, swayed, or scared. You must fight through the full onslaught of his magic and strength before you can claim the Tempest Keep is free of it's corrupted leader.